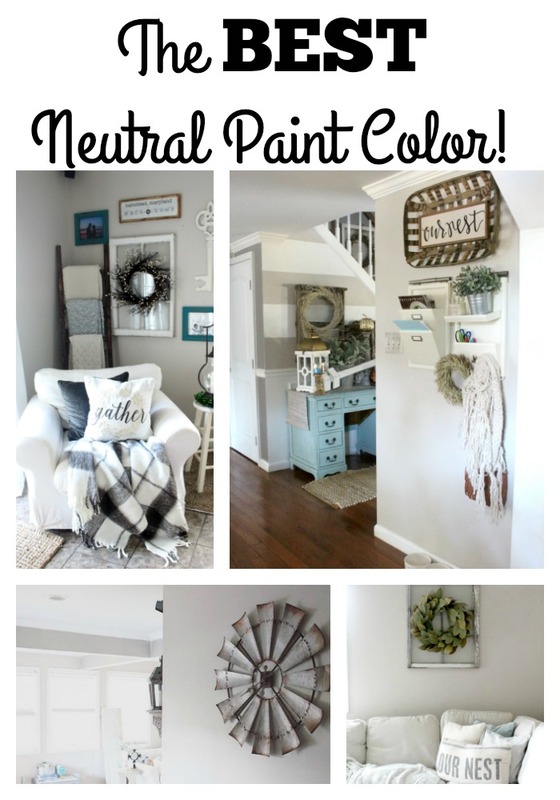 The BEST Neutral Paint Color! Every single time I post a picture of my living room or dining room I get a minimum of 24 people asking me about the paint colors. Which doesn't bother me, at all. I don't mind answering your questions! I'm always honored when you guys ask me honestly. 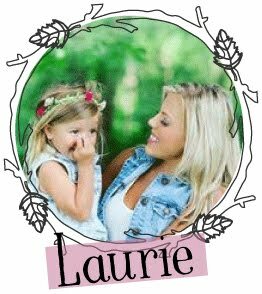 But I decided it might be a little easier to blog about paint today so we can keep everything in one post! The color I have in my living room is called 'WHEAT BREAD' and it's by Behr. 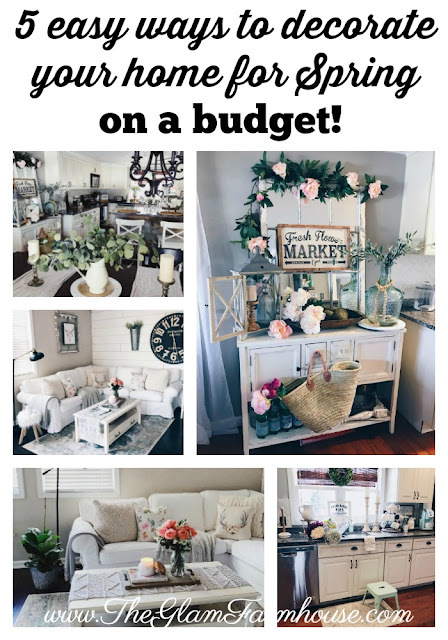 If I'm not mistaken it was featured in Better Homes & Gardens Magazine a few years ago as one of their best "neutrals" and that's actually where I discovered it about 4 years ago! I'm pretty much obsessed with it. I would use it in every room in my house if I could and not get bored. But with all things, it's best done and appreciated in moderation. However, that didn't stop me from using it to paint my command center area that I blogged about here. Oh and it's also the color I used for my stripes in the entryway. It's such a smooth, warm color, without being yellowish, or too cool. Honestly, I feel like it's the perfect "beige" and way to add a touch of color for those that don't want white walls. 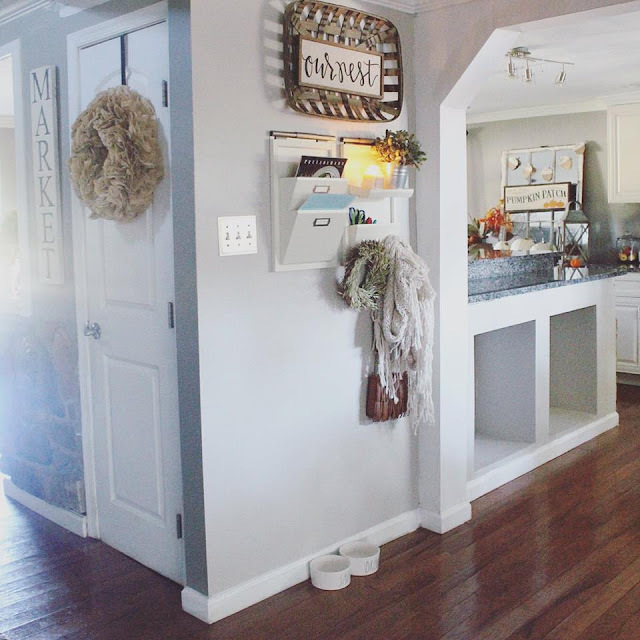 I have used this in spaces with lots of natural light and not a lot of natural light, in my living room where I have french doors and 3 large windows, it looks like a very very light, almost gray/white color, but in my kitchen area it looks more cream. Both are flattering colors and variations but it's just something I wanted to mention as paint can be so tricky. I'm actually getting ready to paint my master bedroom this same color because I just haven't found a color I love as much yet! I personally love Behr paint and it's coverage but if you want this color in another brand of paint you can take it to any shop that sells paint and they will try to match it for you. 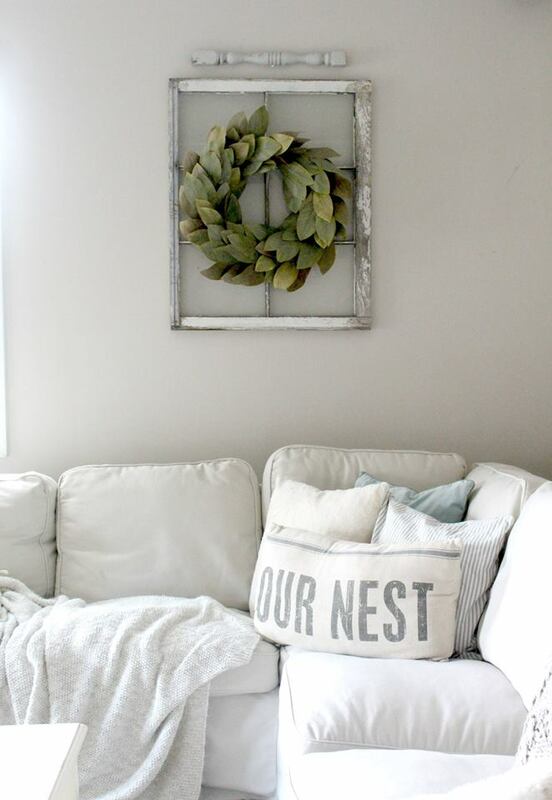 Do any of you have this color already in your home? What do you think about it? Next week I'll be blogging about my favorite GRIEGE paint that I currently have in my dining room, kitchen and hallways! Hope this helps some of you looking for a neutral paint color for your home! 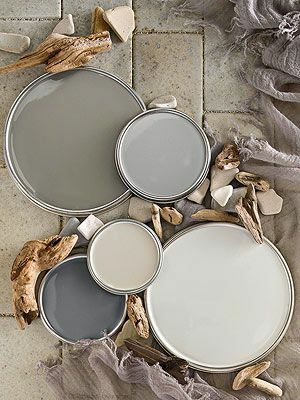 We are wanting to repaint our house and now I know the perfect color to do so! 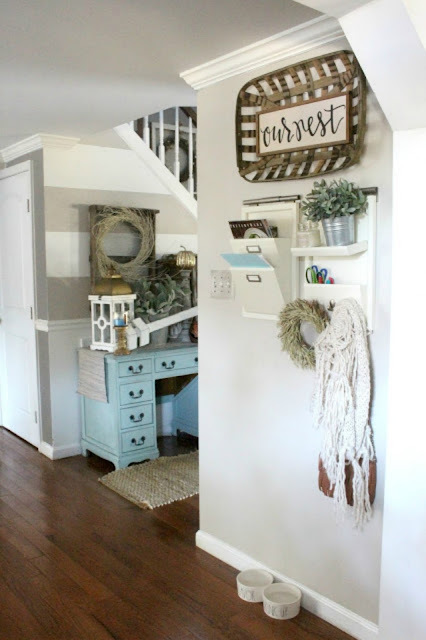 Ah, this makes me want to repaint our entire downstairs!! We used Sticks and Stones by Sherwin Williams and I LOVE it, but lately I've been thinking it would be nice to lighten it up slightly. I won't do white walls, so this would be perfect for me! Such a great color for sure! I would never have thought it was beige though I always thought gray! So hard to tell online and depending on lighting like you said! 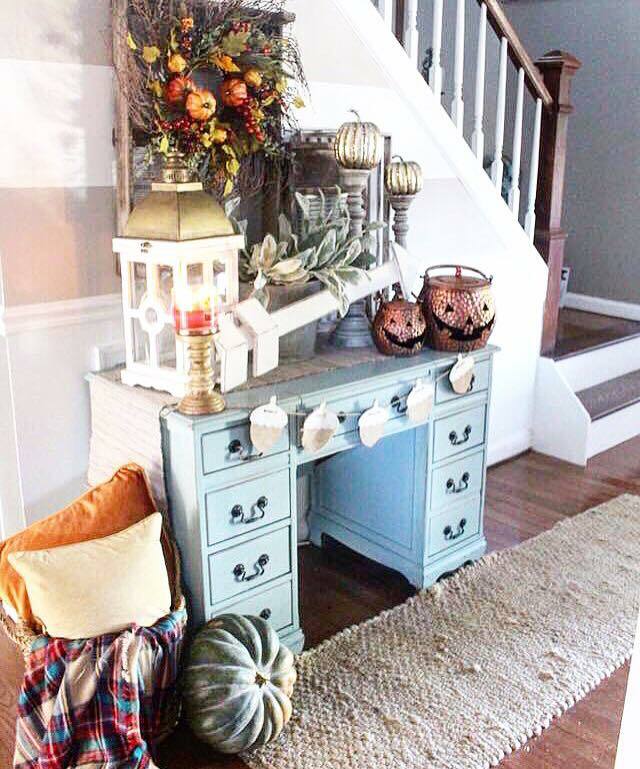 Easy Ways To Decorate For Fall On A Budget! 6 Ways To Decorate With Tobacco Baskets! 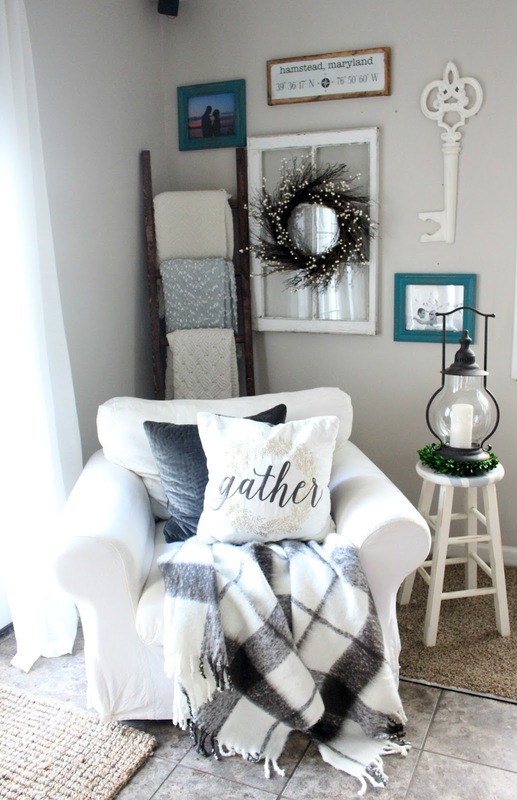 Must Have Finds For The Modern Farmhouse! Read THIS Before You Paint Your Kitchen Cabinets! Favorite Neutral Fall Farmhouse Finds!